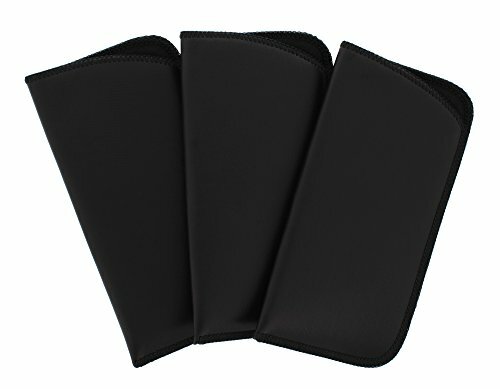 3 (three) high quality soft faux leather classic styled slip-in cases in Black. Accommodates most larger eyeglass frames. Features padded nylon lining for added protection and surge-stitched binding for extra strength.